Crimson Trace LG-433 LG-433 Laser Guard for Kahr Arms .380 FREE SHIPPING! 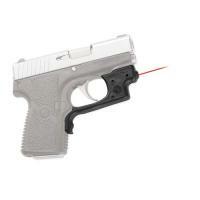 Now you can arm your Kahr .380 with a laser with the LG-433 Laser Guard from Crimson Trace. Featuring a powerful red laser that is activated using your natural firing grip, LG-433 can enhance your defensive capabilities. Crimson Trace's LG-433 is easy to install, and mounts in front of your Kahr's trigger guard. Made of durable polymer, installation requires no gunsmithing knowledge. This sight will get you accurate shots and can be adjusted for windage and elevation. Powered by one 1/3N lithium or two 357 silver oxide batteries, it can run for over four hours. A Crimson Trace laser guard is an excellent tool to add to a carry weapon! Maltese Cross Badge - B486 - 1 11/16" x 1 11/16"
©2002-2019 CopsPlus.com: Crimson Trace LG-433 LG-433 Laser Guard for Kahr Arms .380 FREE SHIPPING!